The Investor of the project “Panorama Sofia” is “Residential Park Sofia” EOOD, a subsidiary of Lindner Vermoegensverwaltungs GmbH, a company of the Lindner Group Germany. 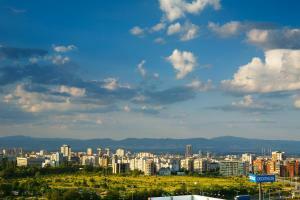 Residential Park Sofia is the Investor of the namely residential complex – the first of its kind in Bulgaria. Lindner AG was founded in 1965 by Mr. Hans Lindner. Nowadays the company operates worldwide and has over 30 subsidiaries in Europe and Asia. Besides, the company maintains 20 branch offices and 8 subsidiaries in Germany. The total number of employees exceeds 5500. Lindner AG, Decken-, Boden-, Trennwandsysteme is one of the world’s leading manufacturers of suspended ceiling, raised floor and partition walls systems. Lindner was the investor of the outstanding project Business Park Sofia. The development of Business Park Sofia introduced highest standards in the construction sector and the real estate investment. The name of Lindner has become a synonym of the modern technologies, successful projects and exceptional reliability. The management of the project Panorama Sofia is assigned to Lindner Immobilien Management EOOD – another subsidiary of Lindner Vermoegensverwaltungs GmbH, specialized in project management, projection, day-to-day management of large scale investment projects of the Lindner Group in Bulgaria as well as of other investors. The subsidiary was found in 2006, operates mainly in Sofia and Plovdiv and is a member of the Bulgarian Project Management Association (BPMA), Confederation of Employers and Industrialists in Bulgaria (CEIBG) and the American Chamber of Commerce in Bulgaria (AmCham). Lindner Immobilien Management EOOD is working on various external projects. Among its key clients are Aktiv Properties REIT, Fort Knox OOD, Cosmo Bulgaria Mobile EAD, ABB Bulgaria EOOD, Liebherr - Hausgeraete Maritsa EOOD etc.